Scoop! 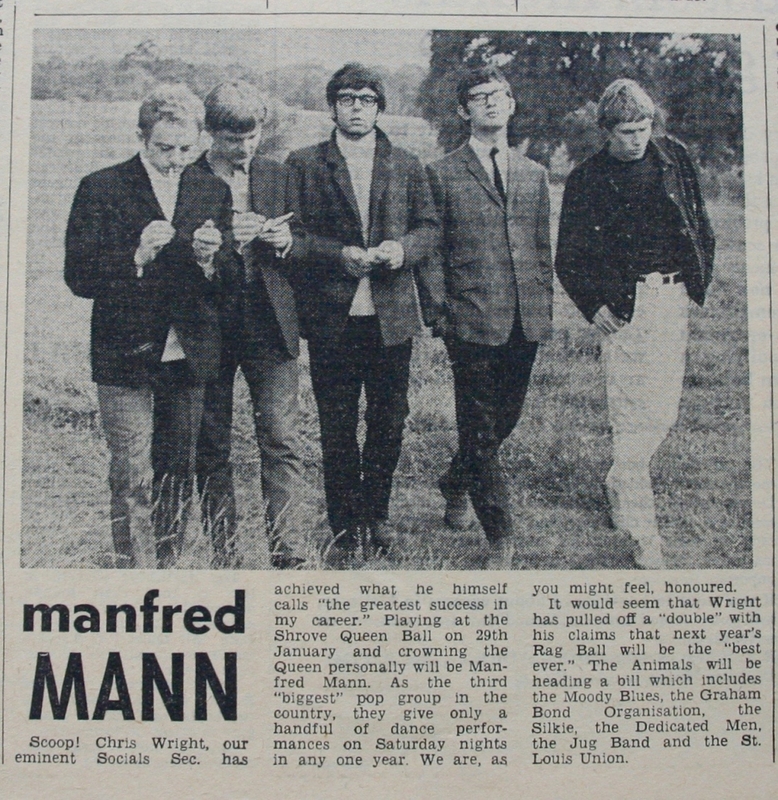 A piece on Manfred Mann's imminent visit to the Union, courtesy of Socials Secretary, Chris Wright. Manfred Mann are described in the piece as the third biggest pop act in the country. Chris Wright went on to co-found Chrysalis Records with Terry Ellis. According to Wikpiedia, he has also produced Ten Years After, Jethro Tull, Procol Harum, Blondie, Ultravox and Spandau Ballet. Wright bought Ellis out in 1985, when the Chrysalis Group went public. Chrysalis continued to compete with Richard Branson's Virgin and Chris Blackwell's Island until its eventual sale to Thorn EMI in two tranches in 1990 and 1991. Wright retained ownership of the Chrysalis Music until 2010, when the publishing company was acquired by BMG Rights Management. Taken from the Manchester Independent newspaper, written and edited by University of Manchester students.With thanks to James Peters at the University of Manchester Archives and Ben Ward at University of Manchester Students' Union.